I have two guitars that have been made by Jorge. I prefer my Blanca (Cedar Top- Spanish Cyprus Back & Sides) for tone and feel over the Negra (Redwood Top-Madagascar Back & Sides) . 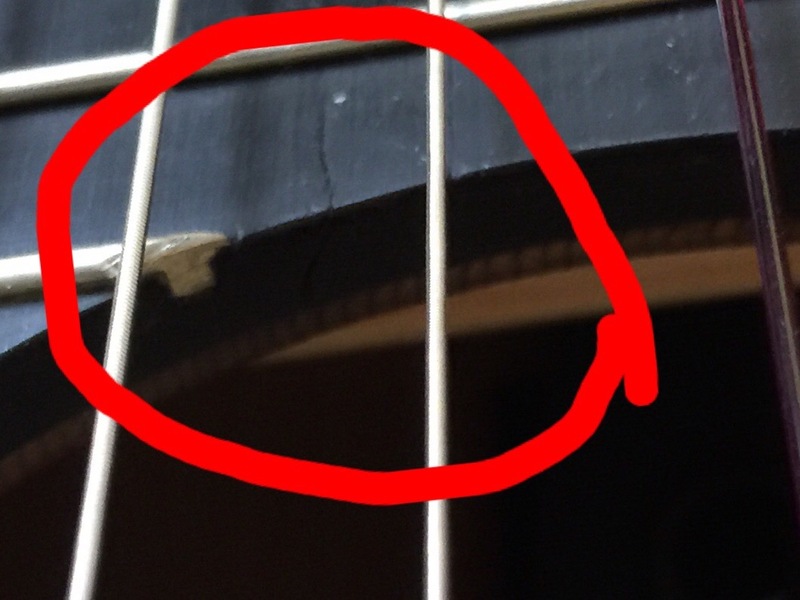 But before I even was able to play it it was cracked on the back. The first time the crack may have happened in shipping, maybe due to the battery not being taken out or shipping/handling. The guitar was in a BAM Guitar Case. The guitar is only two and a hafe years old. 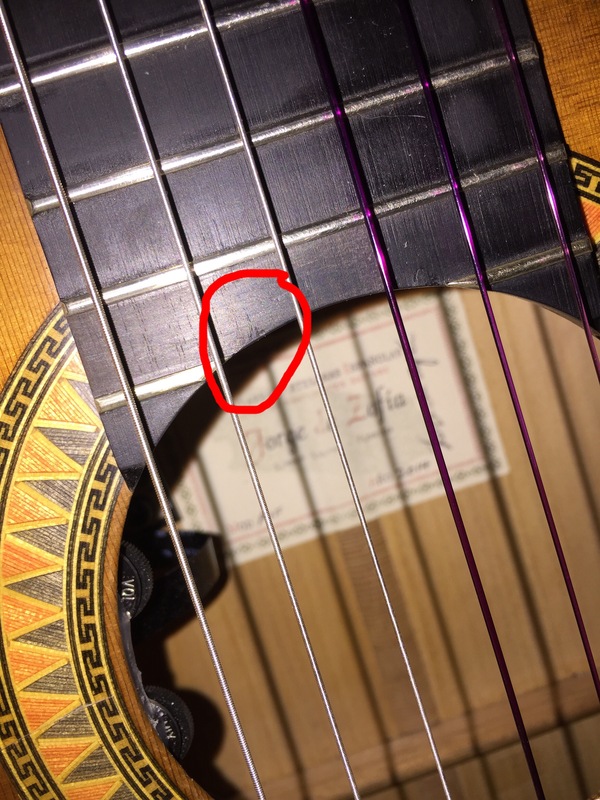 Recently this summer the fretboard started to crack near the sound hole between the A and D string. Below is the crack. 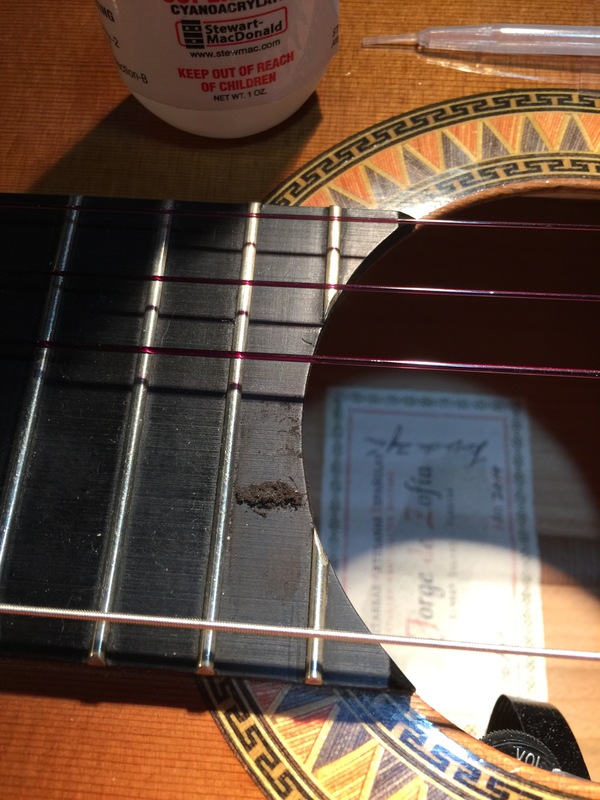 The guitar has lived in great humidity 55-65% and generally 72 degrees in a BAM case. 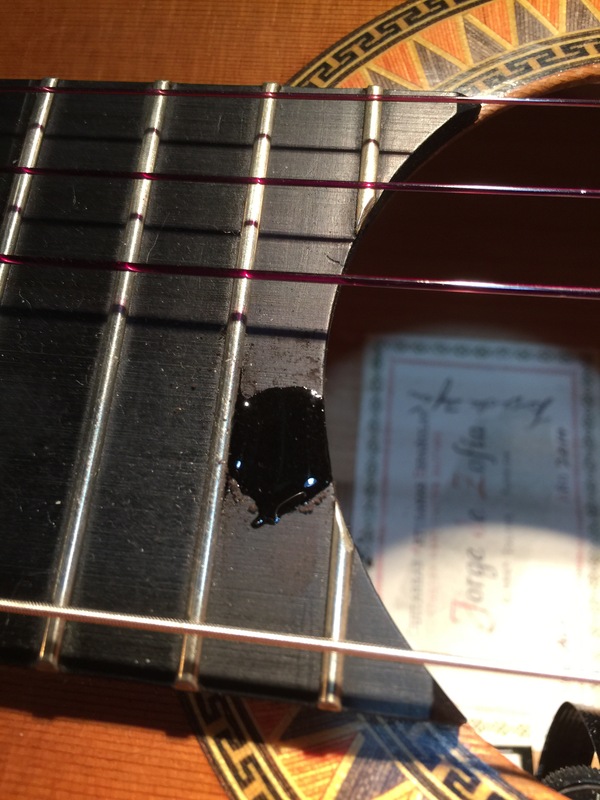 I do have a LR Baggs Dual Source Pickup system in the guitar. 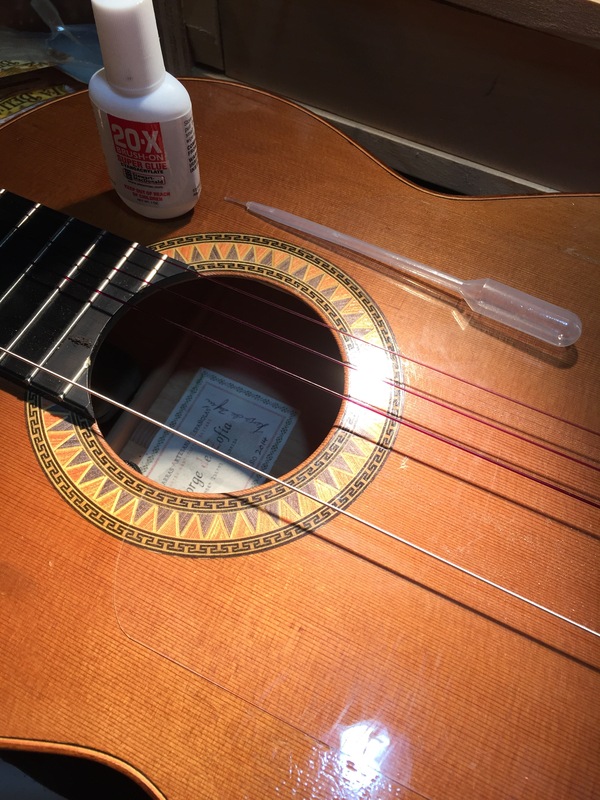 I was able to do the repair myself after talking to a few luthiers. I did ask Jorge for input but never heard from him. 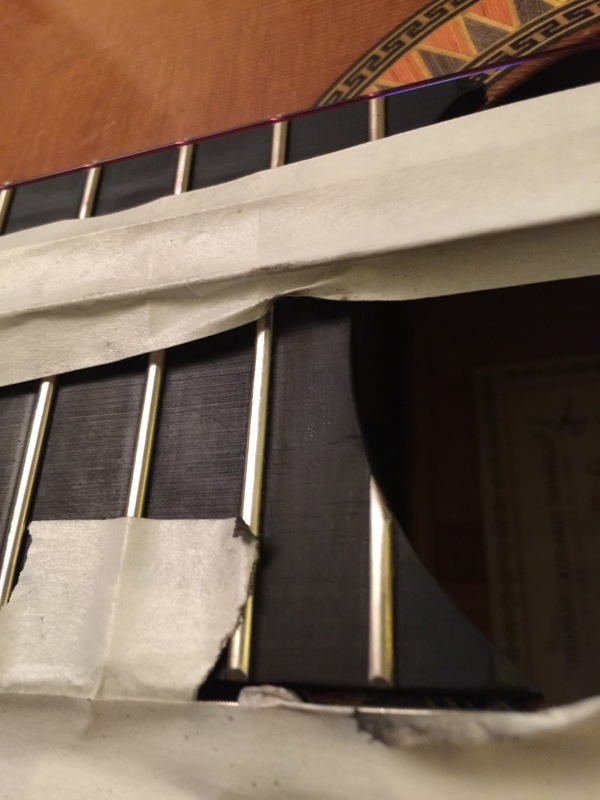 I used glue from Stewart Mac Donald and ebony shavings to fix the crack.